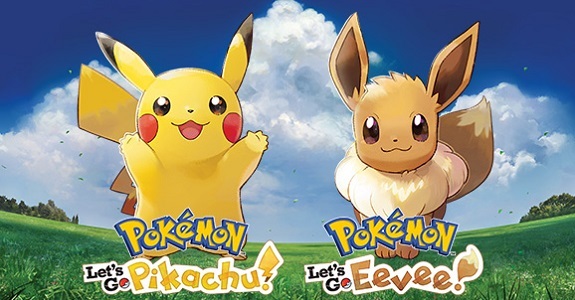 Yesterday, the early sales report from Famitsu revealed that Pokémon: Let’s Go, Pikachu! / Let’s Go, Eevee! sold 664 198 units during the first 3 days in Japan (Media Create reported slightly lower sales: 661 240 units). While this is the worst debut for a mainline Pokémon game in quite a while, it’s still a pretty solid performance for various reasons discussed in this post. And today, The Pokémon Company has announced that Pokémon: Let’s Go, Pikachu! / Let’s Go, Eevee! has sold over 3 million units worldwide during its launch week (between November 16th and November 18th). While again, this seems to be one of the worst debuts for the series, it’s actually a record… for the Nintendo Switch. Indeed, according to The Pokémon Company, this is no less than the best debut ever for a Nintendo Switch game (of course, Super Smash Bros. Ultimate is going to utterly smash this record, next month… pun totally intended). Unfortunately, The Pokémon Company does not specify whether the 3 million units reported do include digital sales. Since data shared by publishers usually do, it’s probably safe to assume that Pokémon: Let’s Go, Pikachu! / Let’s Go, Eevee! has indeed sold over 3 million units at retail and via the Nintendo eShop. If not, then that would mean it has sold even more than 3 million units.